Well what another amazing Operation Santa 2018 was! 13152 donations was our final figure for 2018. We had more support than ever from members of the public, statutory partners and businesses, with some phenomenal donations. Conversely, we also had more sad tales and children, and their families in crisis, than ever before – domestic abuse, burglaries, evictions, deaths, separations, parents with no money and no-one to turn to. Who did we support this year? This year we had 51 lists of children and young people who needed our support to provide a gift when otherwise they would get nothing [average number on list was 25, although there were 89 on one list!]. These lists came from people from the voluntary, community, faith and statutory sector [this included schools, social workers, children’s centres and housing support], who support children and families in need. We don’t deal with individuals and only take referrals through groups, as that way the group can identify those most in need. We have had more organisations and groups than ever before through the Operation Santa Grotto this year! 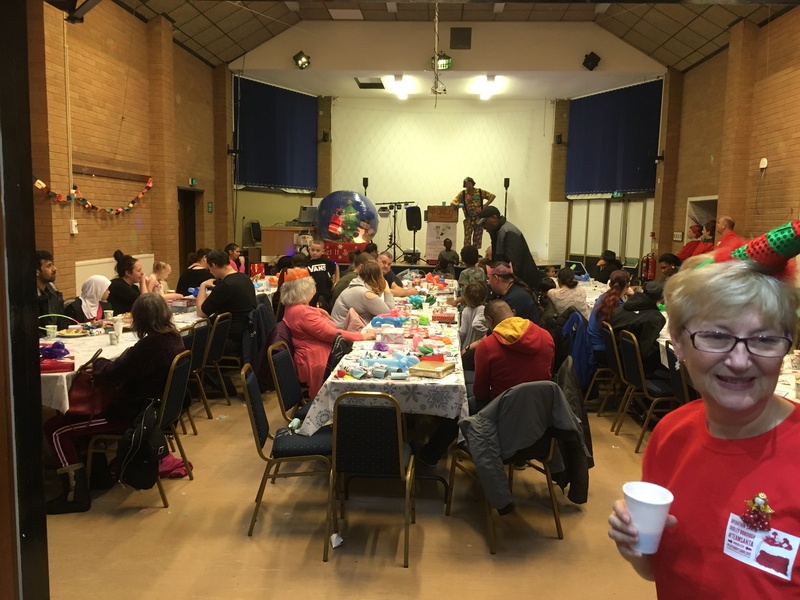 In addition to that we funded 11 Christmas parties, some of which provided a full Christmas lunch and provided grotto presents for parties. and keeping the children amused. Abi’s colouring corner was a huge success too, with those who didn’t want to join in the fun with Wally Wombat having a quiet time with some colouring. Wally did a wonderful job of amusing the children and the adults. Everyone sat down to a delicious Christmas dinner, prepared once again by the lovely Donna, Dawn and Kayleigh from Lunch on the Run, who gave up their Saturday to cook and serve a piping hot lunch. which brought home to us how little some children may get at Christmas. Team Santa elves had wrapped lots of lovely grotto presents so everyone got an extra treat on their way out too. Cheers to Carl too for once again providing goody bags for the parents. It was a wonderful afternoon and everyone seemed to have fun, although we were moved to tears after discovering that one family had eaten nothing hot for two months and a second family hadn’t eaten anything for a couple of days. However, we had food spare from lunch and two sizeable take-away bags of food were soon put together for the families, including some fresh baguettes. Turkey and stuffing sandwiches may well have been on the menu for tea that day! The party was a roaring success as always and it’s all booked again for next year. ent with providing the party, the lovelies did a huge Smyth’s toy shop the following week, which ensured the grotto was bulging at the seams again. They drove over to Smyth’s in Longbridge, where Shane the manager kindly offered to open an hour early so they had the shop to themselves. Here are the boys with their huge pile of toys. More staff and councillors than ever kindly supported us this year with a wonderful selection of toys and gifts. Here is Maren from Chief Exec’s Department who organises the council collection each year. Brett and the Blaze Angels – Our wonderful Business Ambassador and his team have, as always, gone the extra mile for Operation Santa. They generated an incredible 4946 donations and as always brokered the mystery business supporter’s donation. This team are on a mission to make a difference and spread the word about the difference Operation Santa makes locally, and the importance of supporting the appeal. 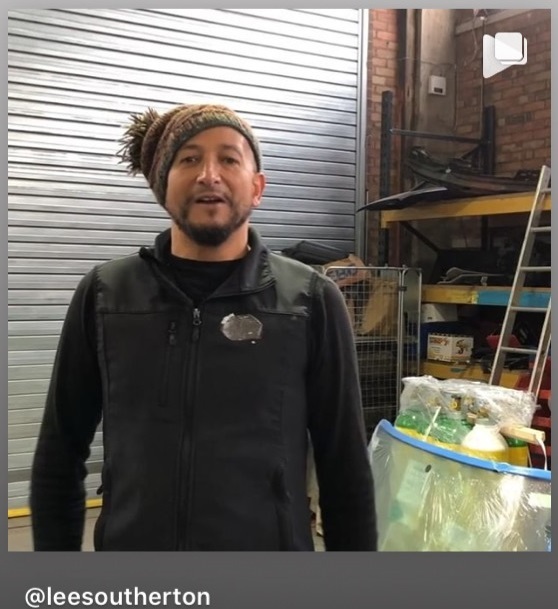 Our Magical supporter – Lee Southerton from Volks Magic and his team of amazing supporters from Santa’s a Gangster were fired up to make a huge difference this year. Lee’s nephew Dale donated a VW Mk2 Golf Cabriolet and a prize draw was set up. Along with fundraising at VDubz in the Valley, the Prize Draw and other lovely supporters, this year over £9000 was raised! Lee even had a video made by the legendary Fuzz from the Car SOS TV programme encouraging everyone to support the appeal! This phenomenal figure meant that we were able to do a huge shop for toys and gifts, which meant the grotto was piled up to the ceiling and at one point we couldn’t get in the door. Also we were able to provide food gift cards, toys etc and emergency support to families in crisis, including one who was the victim of a burglary right before Christmas, when the thieves stole Christmas presents for 3 girls, but left the TV and electronics! This incredible fundraising has also meant that we have a very healthy bank balance for Operation Santa 2019. Not content with providing funds, Lee and Billy the Elf popped in regularly with piles of donations too, totalling a jaw dropping 1576 donations of toys and gifts too! Court House Carvery – Chris, Paula and Paul who run the pub kindly donated 100 free Christmas lunches for local children. We approached two local schools and provided a coach for the Monday 17th December meal, when 50 children and their parents from Bromley Primary School enjoyed a Turkey Dinner with all the trimmings and ice cream for dessert. Santa was there too and every child received a present. On Wednesday 19th December the Court House hosted another lunch and 50 children and their parents from Bromley Hills Primary School enjoyed lunch, dessert and a present from Santa too. Smyth’s Toys – Shane the Manager at the Longbridge store generously opened his store an hour early one Sunday, so Simon, Mike, Carl and Jason for Kingswinford Charity Football Club could shop in peace. He also gave them a generous discount and some free toys – what a star! Prospect coaches – kindly provided us with a free coach for the 19th December Court House Christmas lunch, after we had to change the school attending and needed a coach at very short notice. Merry Hill private hire – when the appeal went out for a free coach, Adam from Merry Hill Private Hire kindly offered us one too and although we did not take him up on his generous offer, we have been invited to ask again next year if we are again offered free carveries. Geoff Hill – We sadly said goodbye to Geoff Hill this year and he was a much loved and stalwart supporter of Operation Santa for many years. He was also a founding member of the Hope Charity that used to support the appeal. Geoff popped into the office every year with a cheque to support the appeal. He will be sadly missed as he was so much a part of Operation Santa, amongst all his other charity activities. Nicklin – are one of our longest serving supporters and Harvey was on the original Hope Charity Board. Each year staff collect for us and encourage their customers to donate too, so they always arrive with a lovely pile of gifts. We also had a small business who had ceased trading and donated their stock to us, which was entirely toys and colouring packs. Our mystery supporter – each year we have a sizeable donation from a large high street retailer who insists on remaining anonymous, but is brokered via Brett Harris from Blaze Hair. This year they generously gave us around 2000 items, which have all gone to good homes. As Operation Santa has grown we’ve had to grow the team too and three new elves joined our ranks in 2018. It’s certainly a volunteer role with a difference as it’s a hectic 6 weeks of collections and deliveries of toys and gifts, sorting, counting, wrapping grotto presents, helping with toy and gift selection, plus helping at our Christmas parties, greeting guests, helping with activities, laying the room out, helping to serve lunch and clear away after, plus numerous other tasks. I would like to record my heartfelt support to the incredible team who helped make Operation Santa so successful and supported me through an extremely stressful and emotional period. Trev is my long-suffering husband who is conscripted each year to support Operation Santa. He’s always spend hours of his own time, petrol and money to support me to make Operation Santa go smoothly, and reach as many children and young people as possible. Joined us an elf in November 2018 and spent hours in the grotto with the other elves, sorting donations and wrapping approx 650 grotto presents! Steve was a lovely, warm-hearted man, with a wonderful sense of humour and always made you smile. He volunteered for 35+ years on the Children’s Ward at Russell’s Hall Hospital, granting wishes to over 500 children and also volunteered for Dudley Hospital Radio and as a minibus driver for Dudley CVS when they ran their transport project. We were sad to learn that Steve passed away between Christmas and New Year, and we will miss him dearly. We also recruited another elf this year, especially to help us with the Court House events. The lovely Sandra [who is a friend of Brett Harris from Blaze Hair] arrived at the Court House in her elf outfit at both of our special carveries, helping to set up the room, serving lunch and helping Santa. It’s always good to hear that Operation Santa has made a difference and we’ve had some lovely feedback this year. “Before Christmas we were given the opportunity to send a group of children, with their parents, for a Christmas lunch at the Court House Carvery in December. It was Eileen Fielding who contacted us and arranged this for us. I would like to send my appreciation and thanks, first of all to Eileen for organising this so well and then to the Court House Carvery for providing the food free of charge to families who cannot afford this normally. It was a fantastic experience for the children, who came back buzzing with excitement, and for the parents who all said how wonderful the food was and also that they were given this chance and opportunity. 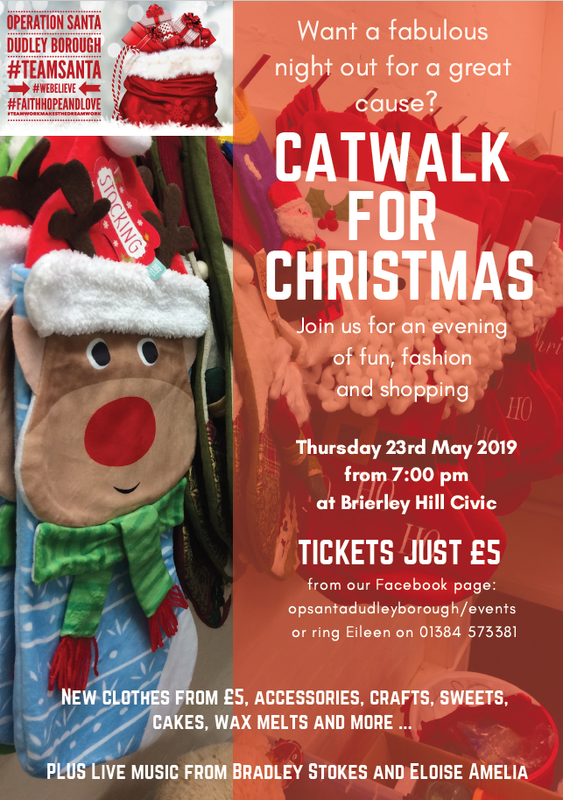 We are organising another fundraising event on 23rd March, so please help us spread the word and raise lots of funds for this year’s Operation Santa. We are hoping to raise £1000 to pay for hot Christmas meals for children and families across the borough, who may otherwise not get a hot meal. Reblogged this on Operation Santa.